This is part 2, part 1 is here. Whenever the topic of deep focus cinematography in CITIZEN KANE is brought up, somebody will say “CITIZEN KANE is not the first! Gregg Toland used the technique in LONG VOYAGE HOME!” Well, that’s true. As a matter of fact, Greg Toland had been interested in staging in depth for quite some time. One of the most critical aspects that had set Toland apart from his contemporary cinematographers was the fact that he was employed by Samuel Goldwyn, one of most prolific independent producers in Hollywood. Toland was usually working on better than average production conditions. Or he was loaned to prestigious and ambitious projects in major studios, such as THE GRAPES OF WRATH (John Ford, 1940) and LONG VOYAGE HOME (John Ford, 1940). Such circumstances would have provided ample opportunities for him to experiment with visuals or at least to exercise the descent cinematography. In many of these projects, there was simply a better working environment including other technical stuffs and personnels, which would have been a luxury even in the major studios of the time. In BULLDOG DRUMMOND (F. Richard Jones, 1929), one of the earliest productions that bears Toland’s credit (co-cinematographer with George S. Barnes), there are already scenes where the actions are staged in more depth those found in the productions of the day. 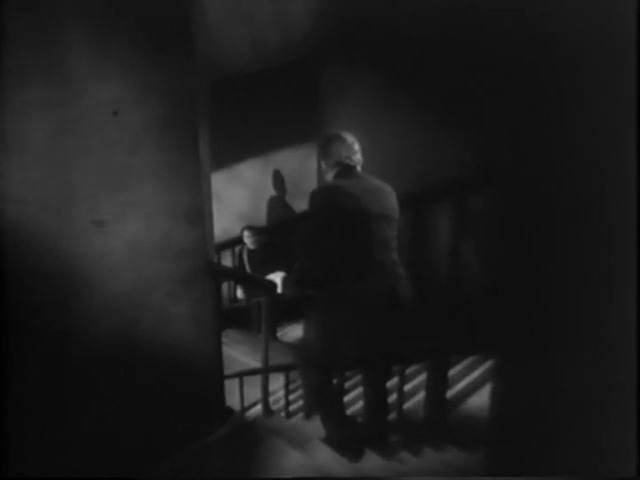 A couple of scenes involving a long, zigzagged staircase in the villain’s hideout are particularly interesting. The staircase appears unreal or implausible at least, considering the way it was laid in the building. But it was effectively employed in action scenes playing with depth. 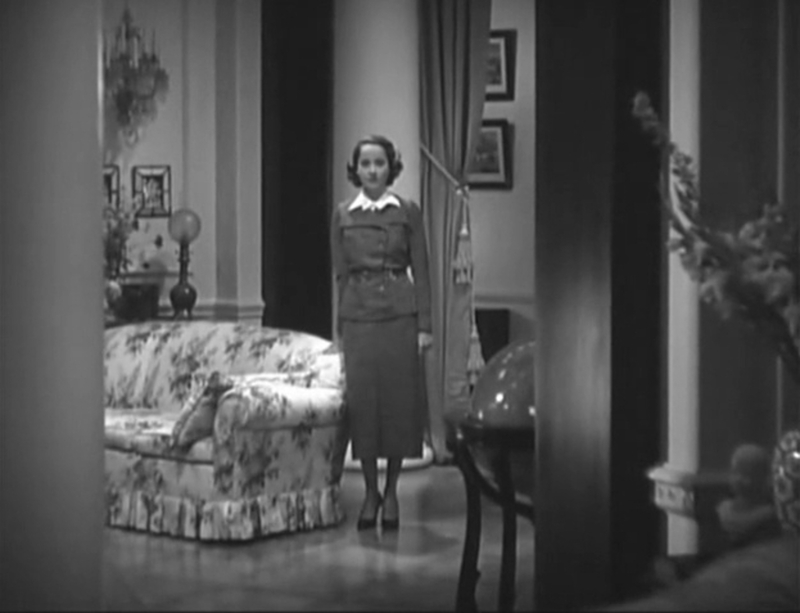 There are other scenes as well where the characters are placed in fairly close to the camera while the others were further back in the stage. However, all these shots are not in perfect focus simultaneously. Either background or the characters in the front may be blurred a little. It was probably how far a cinematographer could go in “deep focus cinematography” at the time. In still photography, you may be able to achieve deep-focus even with a slow filmstock if you can expose it for a long time enough with an appropriate aperture. However, it is not the same story with cinema: the shutter speed was fixed. The interesting set IN BULLDOG DRUMMOND was designed by William Cameron Menzies, who had been working as a set designer and an art director since 1920’s. Menzies’s concept was the pretext for deep-staging in BULLDOG DRUMMOND, and such modernistic sets demanded cinematographic ingenuity not easily attainable at the time. Also, there are many scenes in which shadows play dramatic role in the narrative. There is a rather gruesome scene in Dr. Lakington’s lab. 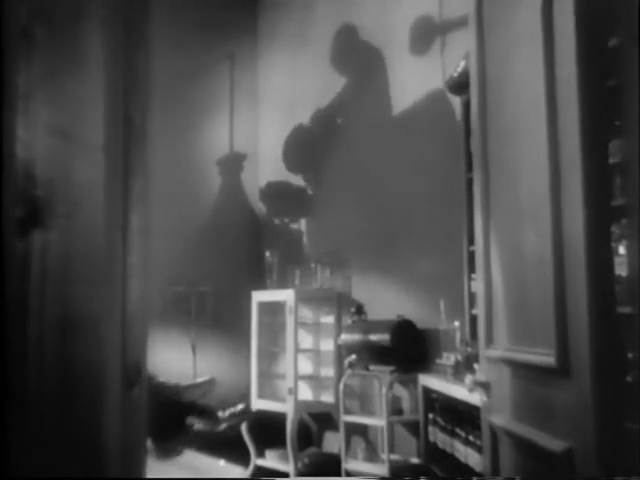 Drummond (Ronald Coleman) strangles Dr. Lakington (Lawrence Grant) to death by his bare hands, as the whole action is played out as a shadow on the wall. 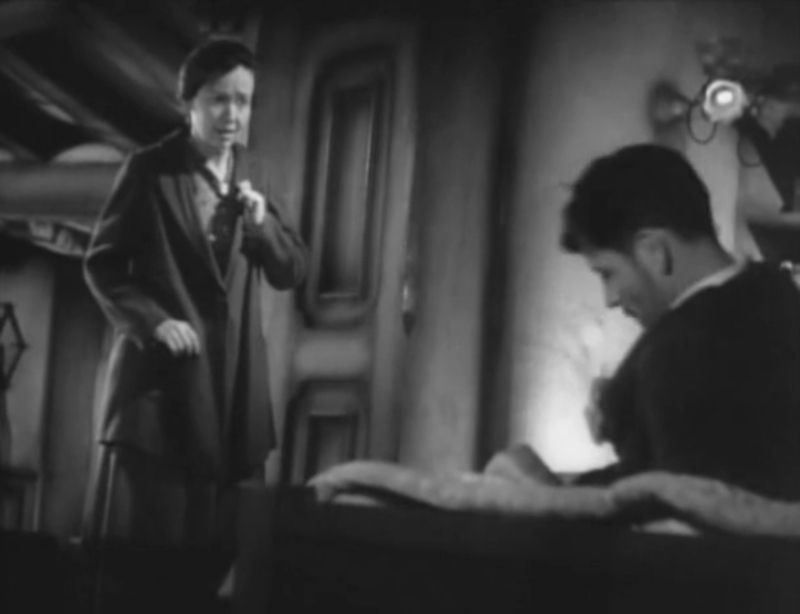 At one point Drummond pokes his head out of the lab’s doorway to talk to frightened Phyllis (Joan Bennett), while breaking poor Dr. Lakington’s windpipe. The scene is cleverly photographed with disturbingly comic overtones. These shots remind us of Toland’s participation in the surrealism experiment two years earlier, THE LIFE AND DEATH OF 9413, A HOLLYWOOD EXTRA (Robert Florey, Slavko Vorkapich, 1928). THE MASQUERADER (Richard Wallace, 1933), another Ronald Coleman vehicle from Samuel Goldwyn, is also a fascinating work in the early talkie era. This strange tale of doppelgängers, a human wreckage of English aristocrat (Sir John Chilcote) and his cousin (John Loder), provides Toland with ample opportunities for visual experimentation. Especially the scene of Sir Chilcote’s bottomless descent into madness is horrifying and effective. Here, the claustrophobic set (art direction is by Richard Day) with low-key lighting quite effectively amplify the hopeless delusion of self-destructive aristocrat. The low ceiling suffocates him to death who has been suffocating with self-pity. His other films, especially Gloria Swanson vehicles such as THE TRESPASSER (Edmund Goulding, 1929) and INDISCREET (Leo McCarey, 1931), were not as ambitious though handsomely photographed. Of course, that is exactly expected of a professional cinematographer: apply the technique suitable for the story. Toland was behind the camera in Anna Sten’s melodrama NANA (Dorothy Arzner, George Fitzmaurice, 1933), though it seems everybody in front of the camera were overacting to the hilt. THE DARK ANGEL (Sidney Franklin, 1935) is a superb production with a few impressive camera movement. There are some scenes where actions or dialogs are staged in some depth, but the cinematography is done with focus of fairly shallow depth. Like many of his peers during the 1930s, Toland occasionally experimented with technical devices to give greater depth: arc lamps, faster film, lens coating and wide-angle lenses. Many of Toland’s shots display qualities common in other cinematographer’s work. Sometimes the shot will have considerable spatial depth in composition, but the foreground will be decoratively darkened or unfocused. 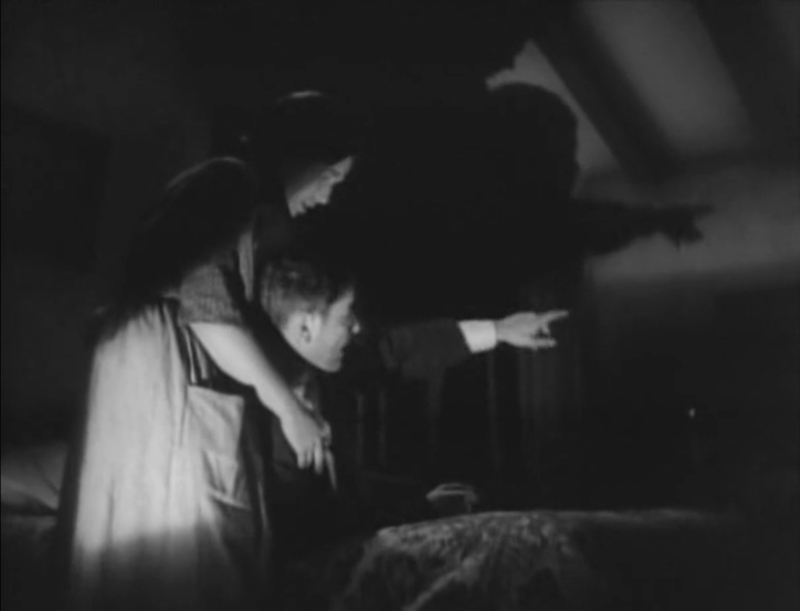 Bordwell lists THESE THREE (William Wyler, 1936) and WURTHERING HEIGHTS (William Wyler, 1939) as examples. William Wyler was known to have a penchant for staging a long dialog or action scene in a deeply-staged shot. He and Toland worked together to bring these scenes more fluid and absorbing by using a front-and-back composition rather than a two-dimensional side-by-side composition. It must have been a long interactive process among filmmakers including writers, cinematographers and editors, to enable such a composition to accomplish an effective drama. Of course KANE was not the first. It was a long voyage. “The Classical Hollywood Cinema: Film Style & Mode of Production to 1960”, David Bordwell, Janet Staiger and Kristin Thompson, Columbia University Press, Reprint Edition, 1985.